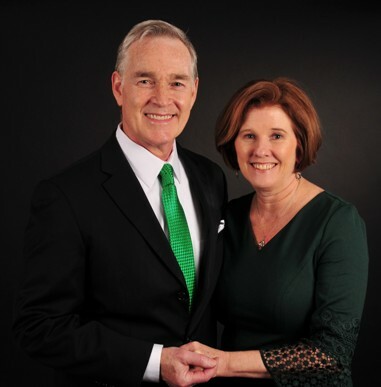 Phil and Kim Ferguson are thrilled and honored to have been selected as the King and Queen of 2019 Allentown St. Patrick's Day Parade. 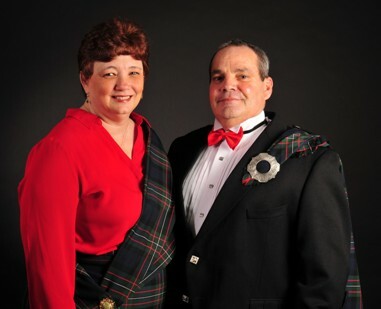 Phil's parents, Patrick and Marian Ferguson, served as King and Queen in 1991, and Phil's brother and sister-in-law, Sean and Wendy Ferguson, were King and Queen in 2010. Phil's Irish roots run deep, and he has traveled to Ireland many times with Kim and family, but nothing compares to the last trip with his father in 2015 when they were able to connect with family in County Mayo. There he learned of his family history going back to his great-great- grandfather. Phil, a member of both the AOH and Hogan's Social Club, has been active on the Parade Committee since he was a teenager, and currently serves as Vice-President/Operations Director. Kim, also of Irish descent, was born in Bethlehem and raised in Nazareth. She is also an active Parade Committee volunteer who has not missed a parade in 18 years. Phil and Kim are parishioners of St. John Fisher in Catasauqua. When they married 8 years ago, Phil happily became stepfather to Kim's wonderful children: Jessica and her husband Jeff Hudak are both teachers working towards their masters degrees. They currently reside in Quakertown with their silky terrier, Donatello. Nathan is a junior majoring in Finance with a Political Science Minor at Penn State University, University Park. This summer he plans on working for UBS in NYC as an Incoming Investment Banking Summer Analyst. Kim, a graduate of Nazareth High School, is the Office Manager at Ian D. Webb Insurance. Kim was a youth Cheerleading Coach and Treasurer for CYCA when Jessica was in school. Phil, a William Allen High School graduate, currently works at Kids Peace. He is a former route/sales manager for Stroehmann and Frito Lay. He coached CYAA and Connie Mack baseball for many years and served as Operations Director with the Allentown Flag Day Association and several military parades. Brian and Kate Johnson are honored and excited to serve as King & Queen of the 61st Annual Allentown St. Patrick's Day Parade. They both grew up in Allentown; Kate in the 6th Ward and Brian in the Hamilton Park area. Kate's family has deep roots in the parade. Her parents, Jim and Betty McGorry, served as king and queen in 1972. Her aunt and uncle, Joe and Edna McGorry and cousins, Dennis and Maryellen McGorry, were kings and queens in 1980 and 2005, respectively. Her uncle, Raymond Cramsey, was one of the original parade organizers in the 1950s. As a very Irish-looking little girl, Kate served on the "courts" of her mother and father and many other kings and queens in the parade. For many years, the McGorrys held an open house immediately following the parade. 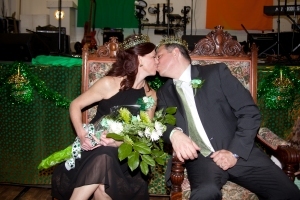 Brian's sister and brother-in-law, Bob and Cathy Boyle, were king and queen in 1982 and his sister, Sheila, then a senior at Allentown Central Catholic High School, was the St. Patrick's Day Observance Society's queen in 1964. 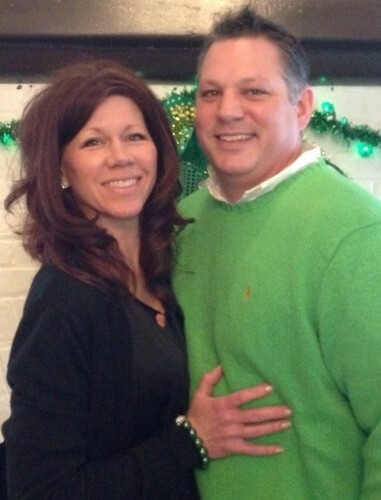 Brian and Kate met in 1982 and married at Immaculate Conception Church in 1984. Kate grew up in Immaculate Conception Parish and Brian in the Cathedral of St. Catherine of Siena Parish. They both graduated from Allentown Central Catholic High School. They have been members of St. Thomas More Parish for 28 years. They have continuously lived and worked in and around Allentown, Brian first as a lawyer and now as a Judge of the Court of Common Pleas of Lehigh County, and Kate first as a nurse and now as an admissions manager with Lehigh Valley Hospital Rehabilitation Center. They have reared 4 wonderful children, Brandon, Sarah, Matthew and Emily, and were blessed with their first grandchild, James, last Spring. Kate's Irish heritage includes the Rodgers line through her mother back to County Donegal and the McGorry line through her father back to County Tyrone. 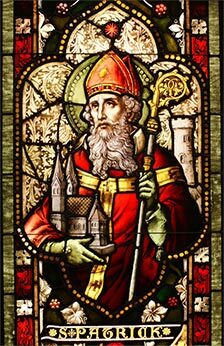 Brian's Irish heritage includes the Johnson (in Ireland, MacSeain) line through his father back to County Derry and the O'Donnell line through his mother, back to County Donegal. For generations, Kate's family lived in Allentown and Brian's in the Hazelton area. Brian's uncle, Andrew O'Donnell, is responsible for inspiring Brian's family to move to Allentown in 1961 and for effecting the fateful meeting of Brian and Kate 21 years later. Both Marie and Colby grew up in Allentown, Marie in 6th ward, and Colby in 13th ward. Marie worshiped at Immaculate Conception Church and Colby at St. Catharine of Sienna. 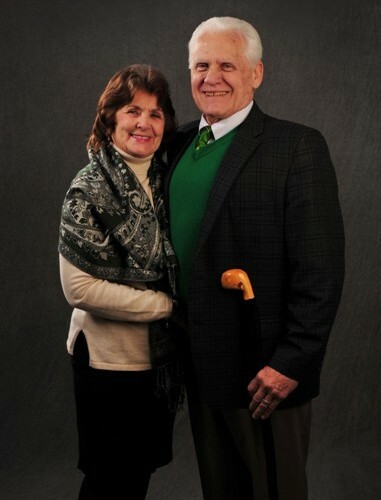 Marie graduated from Central Catholic in 1958 and Colby from Allentown High in 1956. In 1957, Marie was on the St. Patrick's Parade Queen's court. Her Uncle Buck and Annie Boyle were early committee members. 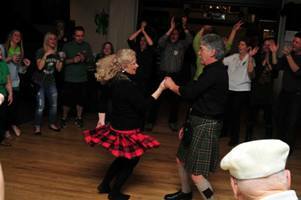 Marie's Irish lineage is through Brigitte and Cornelius O'Donnell, who emigrated from Donegal in the 1800's. Her father, Daniel "Bunn" Donohue's family came from County Claire. 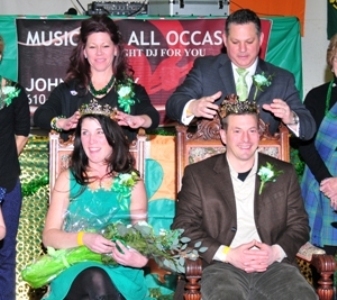 We proudly recall that her Aunt Annie and Uncle George "Bucky" Boyle were St. Patrick's Parade King and Queen in 1967. Her Aunt Mary Donohue and Uncle Samuel McGovern also were St. Patrick's parade King and Queen in 1961. Colby's mother's maiden name was McCoy, whose family emigrated from Derry; in the Ulster region, during the early 1800's. Grandparents Thomas and Florence McCoy lived in Newry, a small Irish developed town in western Pennsylvania. Marie stayed at home to raise their children and later had a few part-time jobs when they were older. Colby had a 30 year career with IBM and is now President and co-owner of Computer Management & Marketing Associates for the past 26 years. 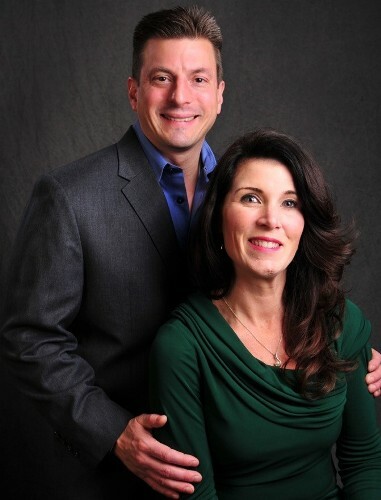 Angela and Steve Faidley are originally from Vestal, New York and moved to the Lehigh Valley in 1986. Married 35 years, Angela is the owner of Out of Our Minds Art Studio in Macungie and has served on the Parade Committee for the last 5 years. Steve works for Wells Fargo as a Systems Support Consultant / IT. Their Parade ties go back to 1998 when they attended their first Coronation Ball and have had a float in the Parade since 2002. 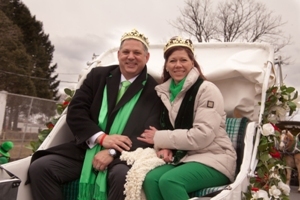 Greg and Roey Ebert continue a family tradition, with their coronation as King and Queen of the Allentown St. Patrick's Parade. Roey is a third generation Queen. Roey's Grandmother Catherine Ford was queen in 1985 and her mother, Rosemary was queen in 2000. "I feel like I am part of the family tradition of having fun and walking in the Parade and enjoying Allentown in all its Irish glory!" states Roey. The Lehigh Valley knows Greg as the owner of Ebert Furniture Gallery in Allentown. Roey is the creator of the Emmy nominated PBS39 show Roey's Paintbox along with her studio of the same name located in Allentown. "The Parade brings us all together, Irish or not, in the spirt of celebration and friendship. It is a chance to celebrate a community" states Roey. This year they celebrate themselves and their family of six children; Maximus, Viven, Jack, Lana, Duke, and Pierce. 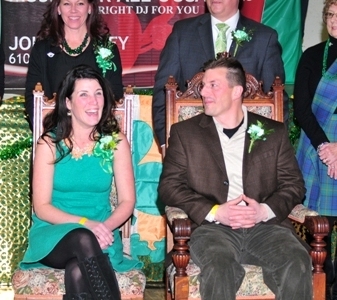 Sean and Kimberly Gallagher of Whitehall are the 2014 King and Queen of the Allentown St. Patrick's Parade. 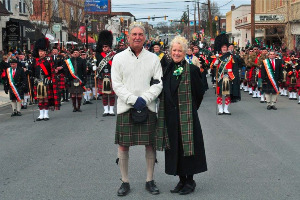 Sean and Kimberly, both life-long residents of the Lehigh Valley, are part of an Allentown St. Patrick's Parade dynasty. 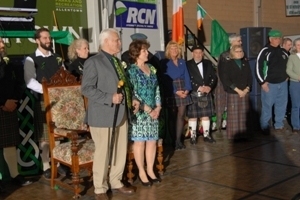 Sean's parents, Hugh and Jeanne Gallagher, were King and Queen in 1995 and continue to remain active on the Parade Board and Committee. Sean has been at every Parade since his birth in 1970 and has marched in every Parade since his parents were elected. Kimberly has attended every Parade since her marriage to Sean twenty-one years ago. Sean and Kimberly have two children. Connor is a 19-year-old sophomore at Moravian College and Keelin is 11 and a sixth grade student at St. John Vianney Regional School in Allentown. 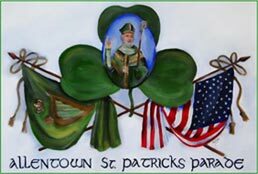 Being proud of their Irish roots has made its way down to Keelin who won the Parade's Annual Poster Contest this year. 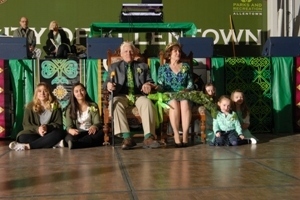 Keelin's work will be featured as a fold out in the 2014 Parade Program Book as well as at the Inaugural Irish Cultural Community Day being held March 22, 2014 at the Allentown Fairgrounds. In addition to being named the 2014 King, Sean is also a nominee for the Leukemia and Lymphoma Society's 2014 Man of the Year campaign. 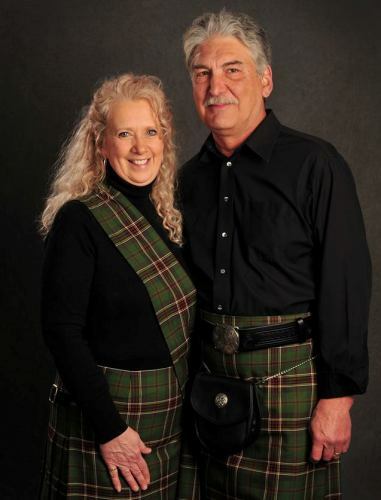 Kim is the owner of Bel-Esprit Salon on New Street in Bethlehem, and Sean is a Financial Advisor for UBS Financial Services, Inc. Sean and Kimberly will be riding in a white coach drawn by a team of Belgium horses followed by seven Parade divisions each led by a pipe band.